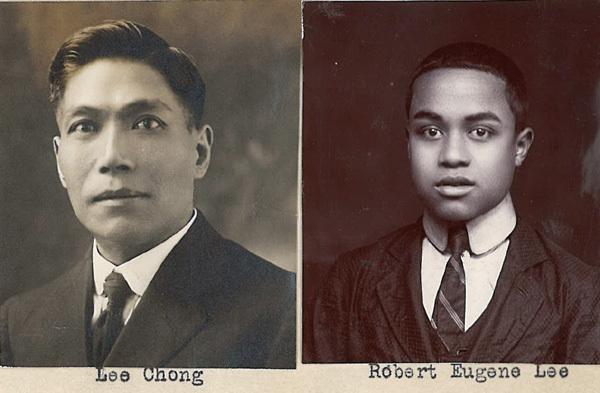 “Robert Eugene Lee and Lee Chong, affidavit photos ,” 1916, Chinese Exclusion Act case files, RG 85, National Archives-Seattle, Lee Quock Bong (Robert Eugene Lee) case file, Seattle Box 686, 7030/8391. Robert Eugene Lee (Lee Quock Bong) was born on 24 February 1897 at 208 North 9th Street in Philadelphia. His parents were Lee Chong and Musetta Lee. 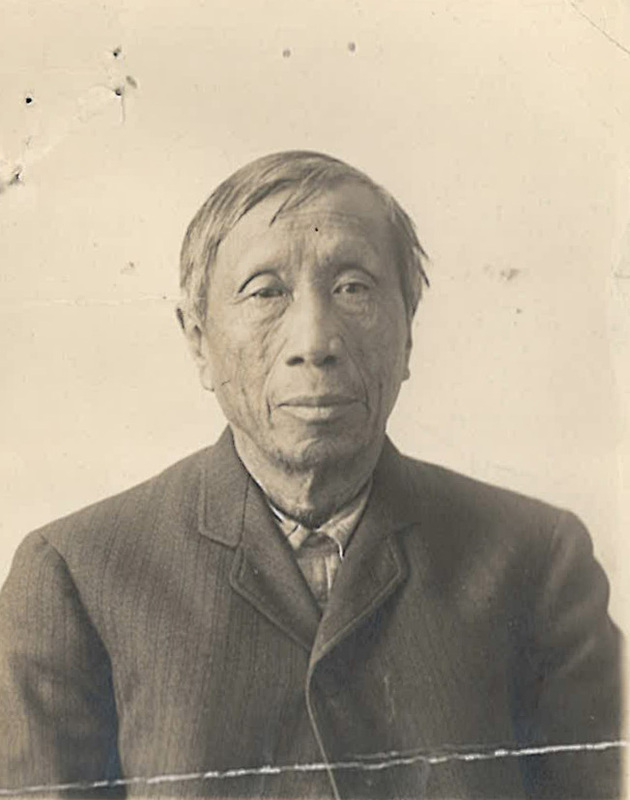 His father was Chinese and his mother was “a negress.” In 1902 Lee Chong and his family visited his home village, Dong Nom Ho Village, Hok Dan District, China. Mrs. Lee died two months after arriving in China. 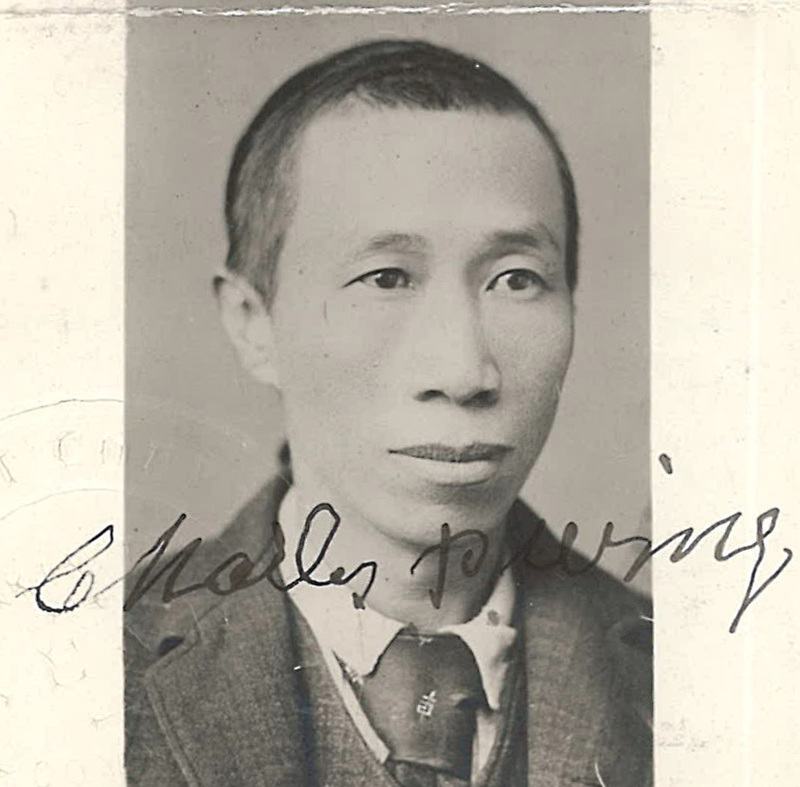 Lee Chong returned to Philadelphia in 1903 and the children stayed in China with their father’s family. In 1916 Lee Chong was applying to have his son, Robert Eugene Lee, join him in Philadelphia. He swore in an affidavit that he was a laundryman at 1939 East Sargent Street, in Philadelphia, Pennsylvania; a widower and father of three American-born children, Robert Eugene Lee, aged 18; Mable Luella Lee, age 16, and Gum Len Lee, age 13, who were living in China. His son was married but his wife would be staying in China. Mary E. Moy, age 45, was a witness for Lee Chong and his son. She testified that her sister and Dr. Bates attended Musetta Lee at Robert’s birth. Mrs. Moy, a Caucasian, was married to a Chinese, Goon Moy. Her husband and Robert’s father, Lee Chong, were close friends. Other witnesses were Lee Tong, manager of Chong Woh Company in Philadelphia and Agnes A. Ming, a Caucasian who knew Robert’s parents well. She testified that she had known Lee Chong since she was twelve years old and that Lee Chong married Zada Brown, “a colored girl,” who lived over his laundry at 18th and Wharton streets. After their three children were born the Lee family moved to China and Zada died there in 1903. Agnes went to school with Zada, a mulatto. Agnes’ husband was Chinese and a friend of Lee Chong. The Mings lived in Albany, New York. Robert lost his certificate of identity in 1921 but was able to get it replaced. Robert Eugene Lee made two more trips to China. He was gone from 1922 to 1924. 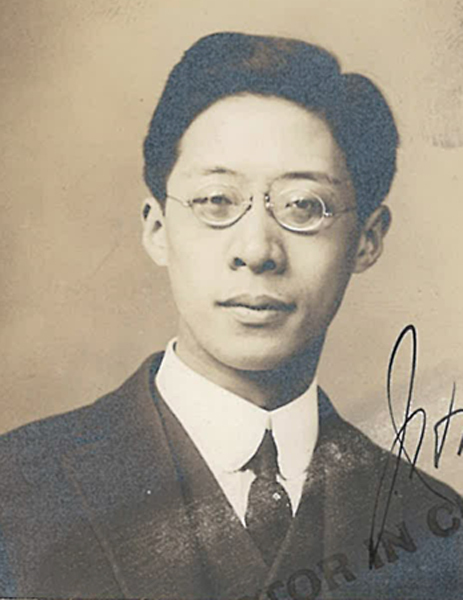 His son, Lee Tong Chee, arrived in the U.S. in 1928. His wife, Chong See, and his other son, Lee You Kue, stayed in China. In 1936 Robert, age 39, applied to visit China and was approved. He returned in June 1937. 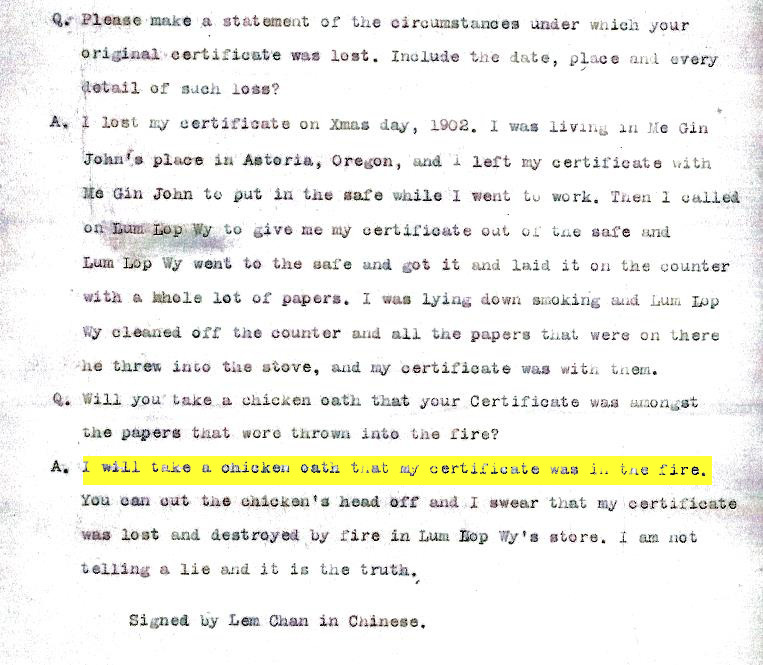 Lem Chan, Application for Duplicate of Certificate of Residence, Chinese Exclusion Act case files, RG 85, National Archives-Seattle, Lem Chan, Portland Box 44 , Case 1016/38. 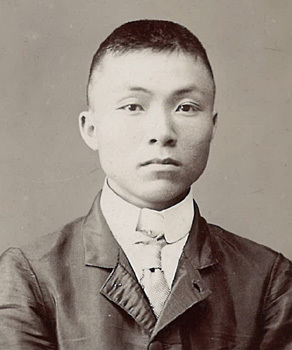 Lem Chan was 19 years old when he first arrived in the United States at San Francisco in 1871. Since then he was working as a cook in a restaurant in Astoria, Oregon. He was living at Me Gin John’s place when he lost his Certificate of Residence on Christmas day 1902. 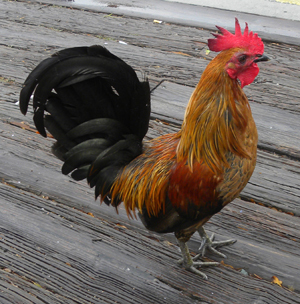 In 1904 he took a chicken oath to swear that his certificate was lost and destroyed by fire in Lum Lop Wy’s store. Gold, Martin. ”Chinese Oath Swearing,” Forbidden Citizens: Chinese Exclusion and the U.S. Congress : a Legislative History, (Alexandria, VA: TheCapitolNet, 2012), 60; digital images, (https://https://books.google.com : accessed 15 September 2015). 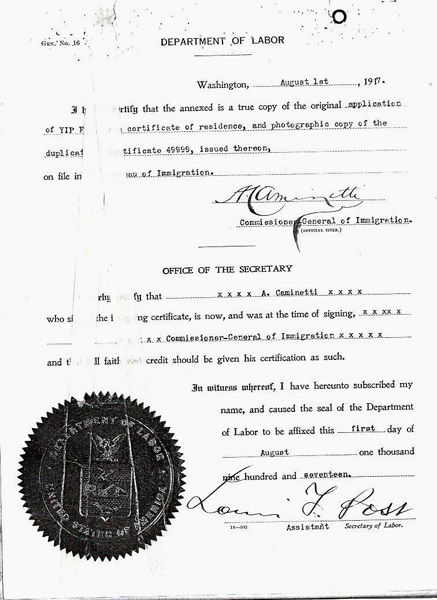 Lee Mo, Certificate of Residence, 1894, Chinese Exclusion Act case files, RG 85, National Archives-Seattle, Lee Mo, Box 798, Case 7030/12531. 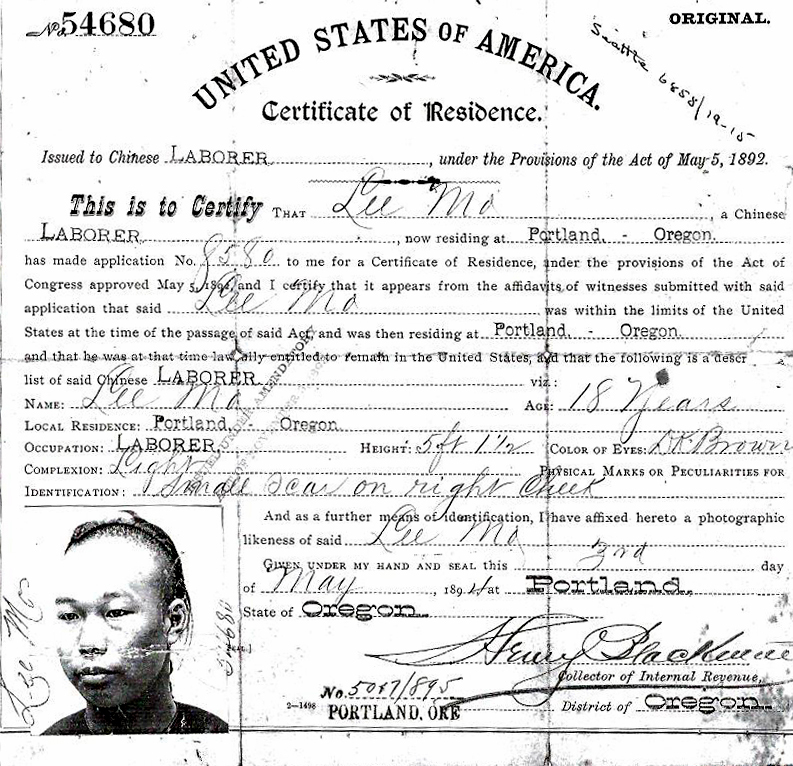 Lee Mo, age 18, was living in Portland, Oregon when he obtained his Certificate of Residence. He was working as a laborer.